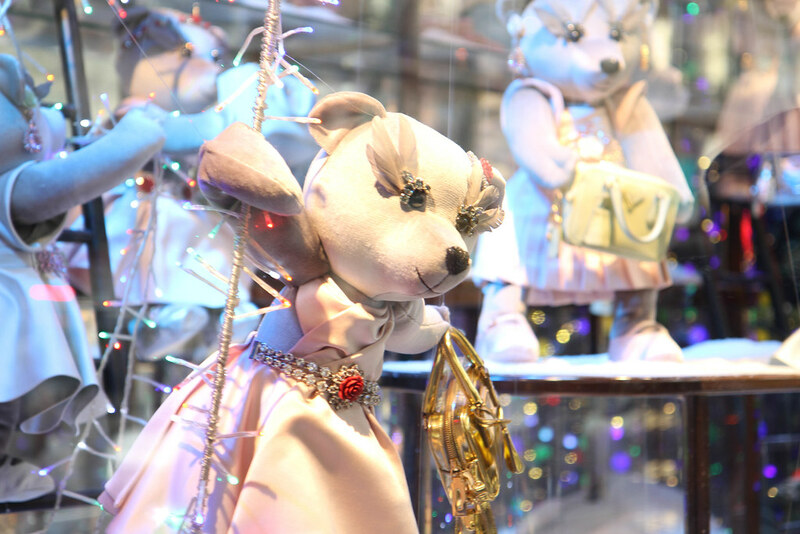 A visit to the Printemps windows over the Christmas season has become a yearly tradition. 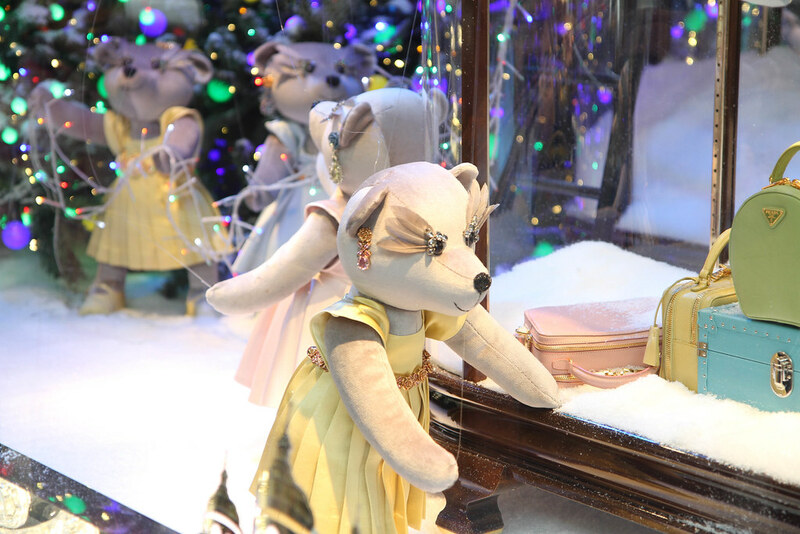 We always make a special outing to gaze at the vitrines, staying much longer than we probably should and no doubt more entertained than most of the children! 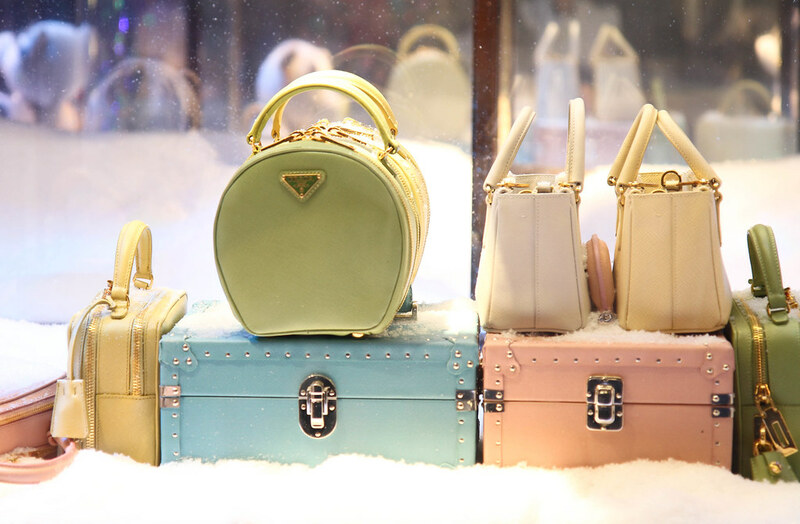 This year the Italian fashion house Prada has taken over the department store creating one of the most cheerful shopping experiences. 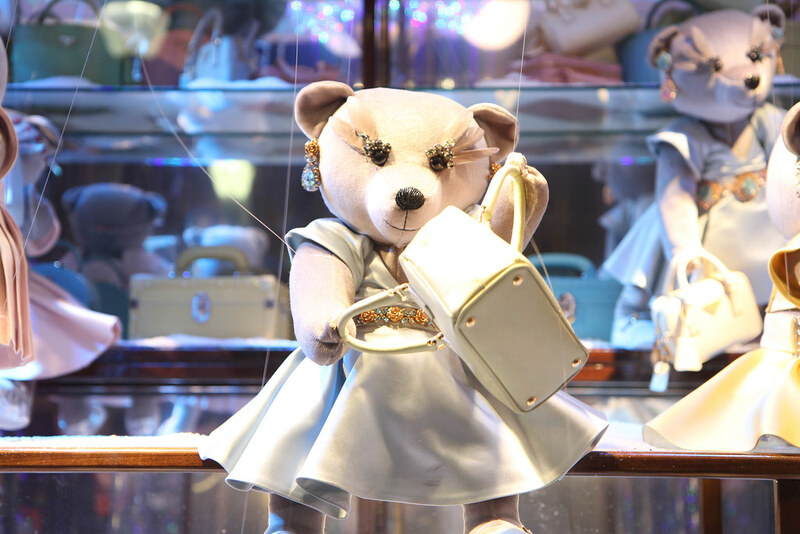 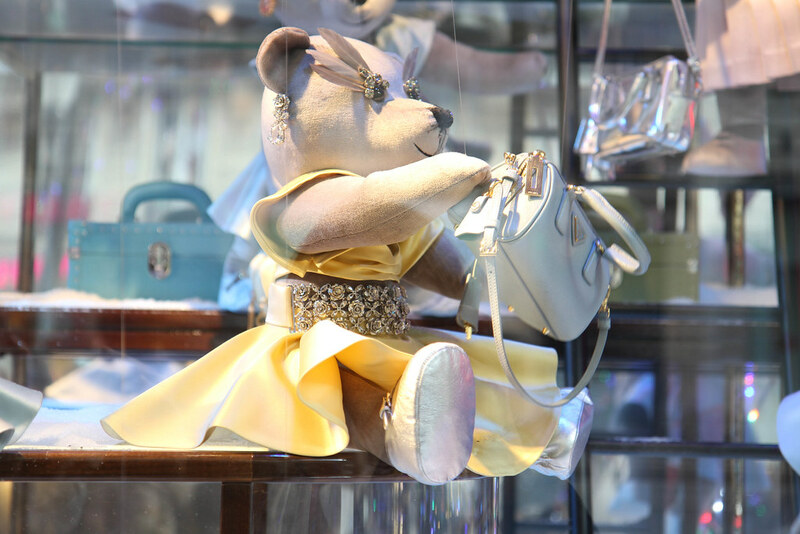 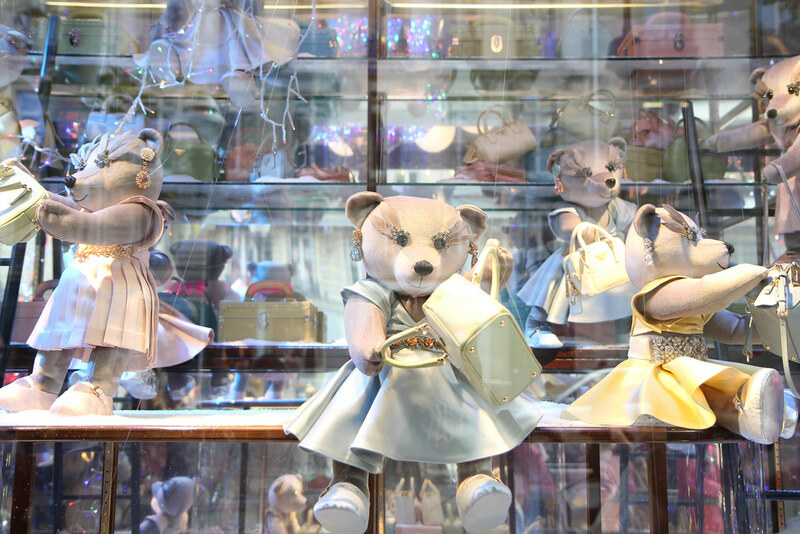 We were mesmerized by the little dancing teddy bears draped in satin dresses and adorned with diamonds. 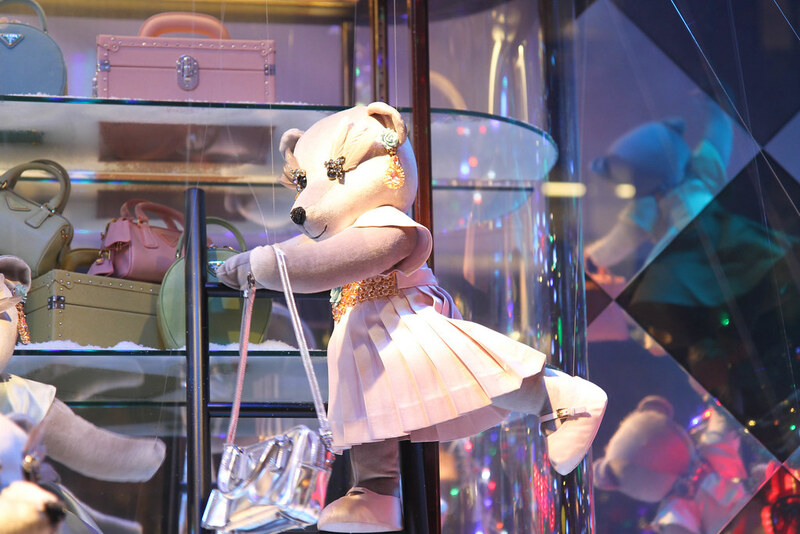 They surely are one of the cutest thing I’ve seen in a while, you can’t help but chuckle at their playful faces and funny little dance moves. 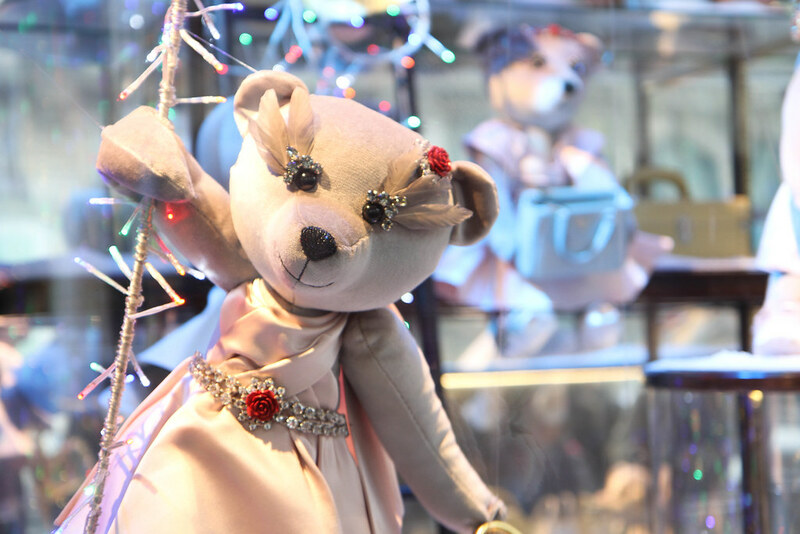 It’s one of the best ways to get you in the holiday spirit.